One in five American adults will place a bet on the NCAA tournament. Odds say some of those gamblers may be struggling with addiction. With the arrival of the NCAA’s annual Division I men’s basketball tournament, millions of people around the country will fill out a March Madness bracket and place their bets in the hopes of winning some cash. The first NCAA tournament bracket was developed in 1939, but according to the Smithsonian, fans in a Staten Island bar were the first to transform the brackets into a new form of gambling nearly half a century later in 1977. This year there will be an estimated 47 million Americans betting a combined $8.5 billion on the tournament. But while the tournament’s commercial success has expanded, so has the potential negative impact for those struggling with gambling addiction—so much so that the National Council on Problem Gambling has officially declared the month of March “Problem Gambling Awareness Month”. 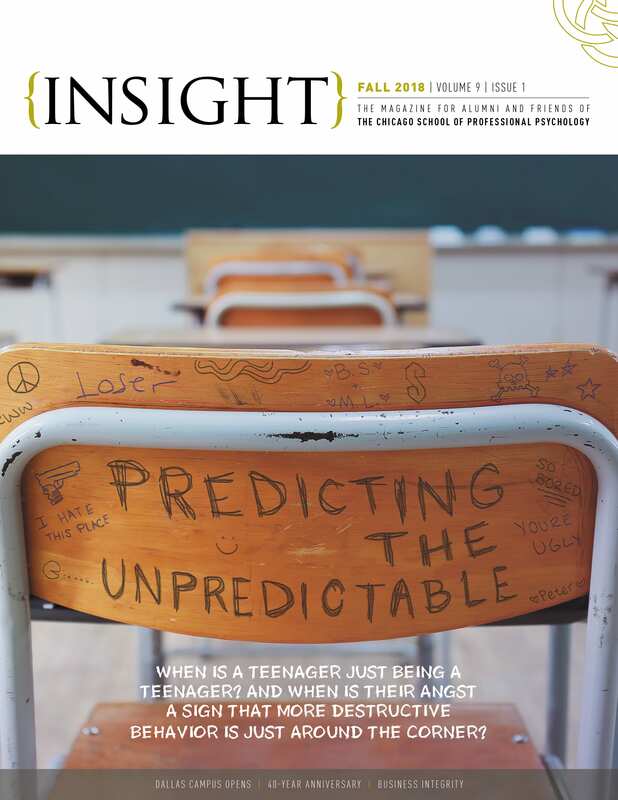 In an effort to highlight this often forgotten aspect of March Madness, INSIGHT Magazine sat down to discuss the topic of gambling addiction with John Kluczynski, Psy.D., who teaches an addiction studies course in the Clinical Psychology program at The Chicago School of Professional Psychology. Q: According to an American Gaming Association (AGA) survey, one in five adults in the U.S. will place a bet on the NCAA tournament. What do you think this says about our views toward gambling and are we overlooking its potential to become an addictive behavior? Dr. John Kluczynski: In many ways, our society looks at gambling the same way we look at alcohol and drug use. That is to say, if you can do it responsibly then it is something that every adult should be able to participate in—legally, of course. At a certain level that makes sense. But the issue is we know there is a percentage of people who get into trouble with it. It becomes problematic or even compulsive in nature, which is something that large-scale betting events like March Madness or even the Super Bowl don’t tend to address as well as they could. Q: Where is the line drawn between recreational gambling and addiction? Dr. Kluczynski: Well, as I always tell my students, if I had a real clear understanding of exactly where that line is drawn I’d win the Nobel Prize. But there are certain things that I train students to look for in my classes. I like to think of it as four types of groups. There are those that don’t gamble. There are those that gamble in a responsible fashion. There’s another group where the gambling becomes problematic. And then there is a fourth group where gambling becomes a compulsion. But again, these are somewhat fluid lines. Q: Can you explain the difference between the third and fourth group? How do you differentiate between gambling being problematic versus a compulsion? Dr. Kluczynski: One very simple way to determine if it is problematic is to determine whether you think it is a problem or if people around you think it is a problem. Are you gambling money that you can’t afford to lose? If so, then that can definitely be considered problematic. But it may not be a regular and consistent behavior or have the same corrosive effect as a compulsion. Compulsion is when you start running into some very serious problems that begin to affect many people around you. For example, I had a client one time who found themselves gambling away their personal money and their business. It cost the person their marriage. Eventually, this person began scamming elderly women into investing money into a “business” and committing fraud by never delivering the services promised. They just needed to generate money to feed their addiction. So, not only were they gambling money they couldn’t afford to lose, but it ruined their marriage, their business, and they ended up in prison twice because of legal issues. Q: Is gambling different from other forms of addiction? What similarities does it share? Dr. Kluczynski: Every addiction has many of the same components and elements. You see this chronic and progressive pattern of abuse, loss of control, and negative effects on someone’s life. Perhaps there are some biological differences between addictions, but that depends on perspective. If gambling stimulates the reward center in a person’s brain, perhaps there is a biological addiction there. We don’t have direct evidence of that, but I think that we may eventually find that some of the issues in the brain and other psychological and social reward systems that are triggered during gambling will be very similar to substance abuse. Right now, we differentiate between substance abuse disorders and what we call behavioral or process addictions such as compulsive gambling, sexual behavior, or something like an eating disorder. It is also important to point out that about 50 percent of people who attend Gambler’s Anonymous also report having significant alcohol problems and attend Alcoholics Anonymous as well. So there is certainly a lot of crossover in terms of the behaviors looking alike and, literally, that one issue may lead to another for a lot of people. Q: How can someone begin to recognize that they may have an issue? Dr. Kluczynski: Unfortunately, one of the things that all addictions share in common is that the person engaging in the behavior cannot recognize, or refuses to believe, that there is a problem. And all too often I will get a call in my office, not from the person who has the problem, but from a loved one. Q: So, how can family or friends approach someone they believe is struggling with compulsive gambling? Dr. Kluczynski: The person that is struggling with the issue feels pretty badly about themselves already at some level, even though they keep doing the behavior. They don’t need to be shamed or belittled. Instead, I would recommend that someone help them understand that there is help available for them. There are a lot of different programs out there to help people. Q: Can you share some of the help available for those who may be currently working through this? Dr. Kluczynski: Certainly. I am a big fan of Gamblers Anonymous, which is usually a starting point for a lot of folks. Anyone is allowed to attend open meetings, and there is also a companion organization called Gam-Anon for families and loved ones to cope with the problem. There are also psychologists, social workers, and therapists who specialize or work with addiction. Most professional organizations also have a referral database to help you find someone and most insurance plans offer access to a similar database. Also, many people might reach out to their physician or minister to help find resources. Q: How does the treatment process work for someone seeking help? Dr. Kluczynski: In treatment, there is no universal pathway. There are a number of different avenues to the same end. I don’t want to pretend that I have any special treatment that I use that no one else has. I do embrace, as part of my treatment programs, someone attending a self-help group as part of the process. And the first goal in treatment is to get people sober or abstinent from their behavior. We can look at why they are having the problem later, but first and foremost they must become sober or abstinent of the behavior so they’re not digging themselves into a deeper and deeper trench in their life. Sometimes there may also be a family component to try and help restore relationships where damage has been done. Having an informed support system is a lot better than having one that is angry or frustrated with the situation. Q: What do you do if a client relapses? How should this be approached? Dr. Kluczynski: Relapse is a common experience that people have and I don’t want someone to relapse, but I don’t shame them for doing so. I see relapse as an opportunity to understand how to go about developing a better recovery program. This is a real shift in thinking that has occurred in the last 30 years or so in our profession. When I first began learning about addiction treatment we were harsh with clients. Now we realize that we were doing the very thing that can cause them to relapse, which is shaming them. Now we work with the problem and understand that relapse can be a normal part of the recovery process. Q: At The Chicago School, you teach an Addiction Studies course in the Clinical Psy.D. program. How can that prepare current and future professionals to deal with the issue of addiction? Dr. Kluczynski: You know, I find it interesting that it has only been in the last ten years that most schools have even begun offering an addictions course to clinical psychologists. There are still many clinical psychologists who have no formal training in addiction. Even though one course is not sufficient to make you an expert, I do think that every psychologist should have some type of training in addiction, like what we offer. As a professional psychologist, it is not something you will ever be able to avoid. You may say, “I want to work with kids.” Well, what about potential addiction issues with the parents? See what I mean? And so it is heartening to see that we are now teaching courses like this and it is certainly a starting point for people who may also want to specialize in addiction down the road. If you would like to learn more about The Chicago School of Professional Psychology’s clinical psychology programs, fill out the form below for more information. You can also visit our clinical psychology programs page or apply today through our application portal. Blake C. Pinto, a military veteran, joined TCS Education System’s marketing department as the Advertising Copywriter in July 2017. 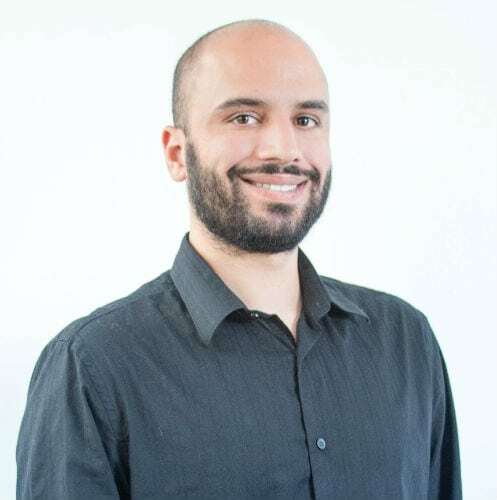 He has previously worked for HLR Media and LC Digital Marketing in Southern California.